Stand up and fight for something you love. 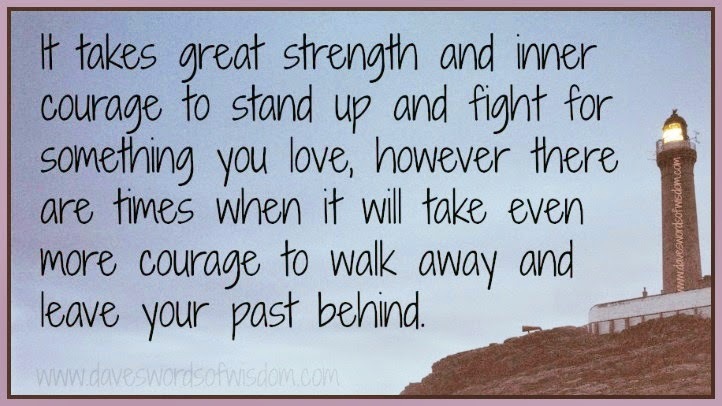 even more courage to walk away and leave your past behind. 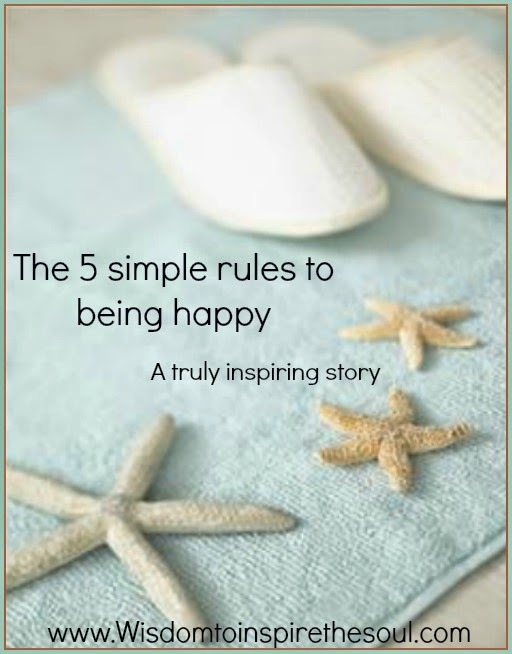 The 5 simple rules to being happy. things that make us who we are. A beautiful view of belief by Anita Day. 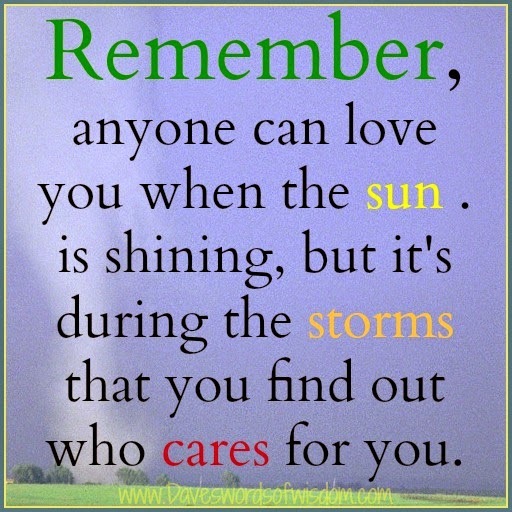 but it's during the storms that you find out who cares for you. find the strength and courage to move on with our lives. 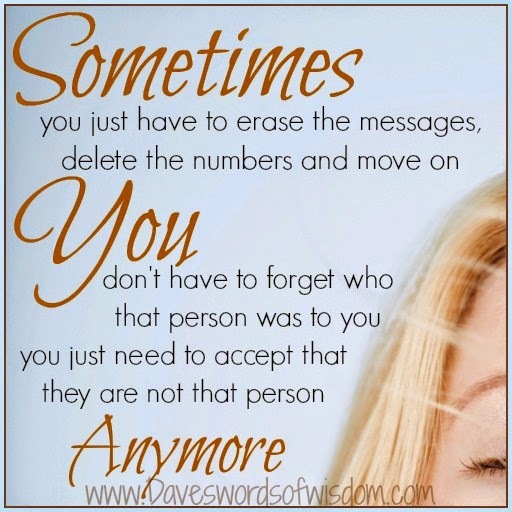 delete the numbers and move on. 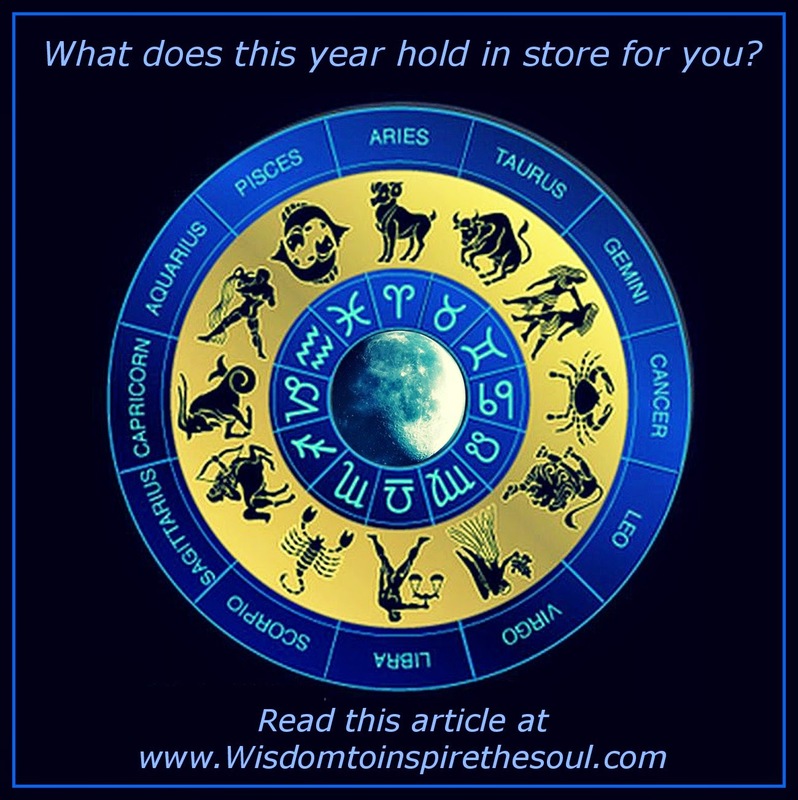 What does the year hold in store for you? HOROSCOPE FOR THE YEAR 2014! 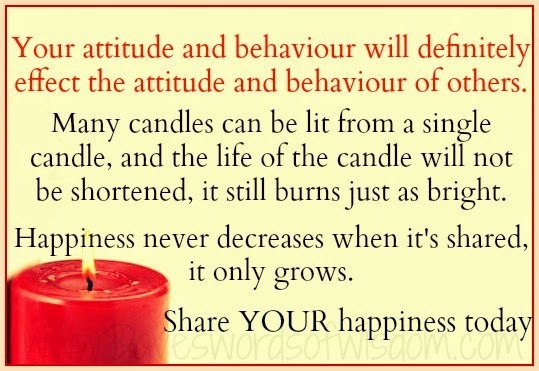 the attitude and behaviour of others. 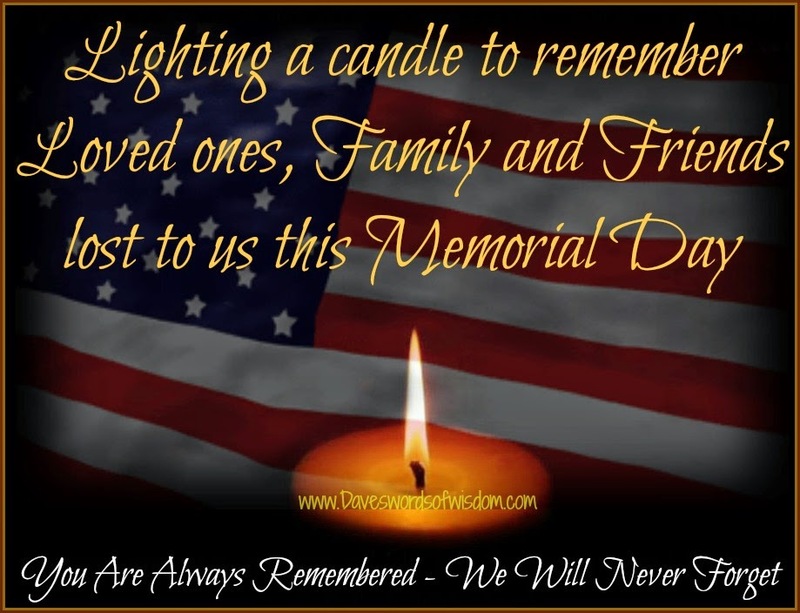 of the candle will not be shortened, it still burns just as bright. happiness never decreases when it's shared, it only grows. 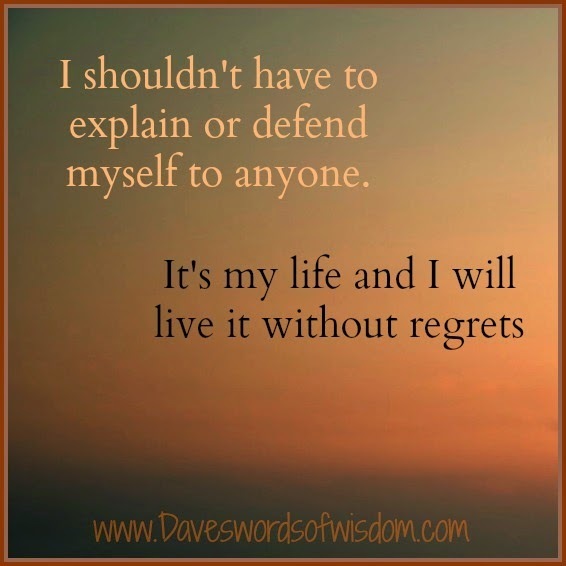 I live my life without regrets. 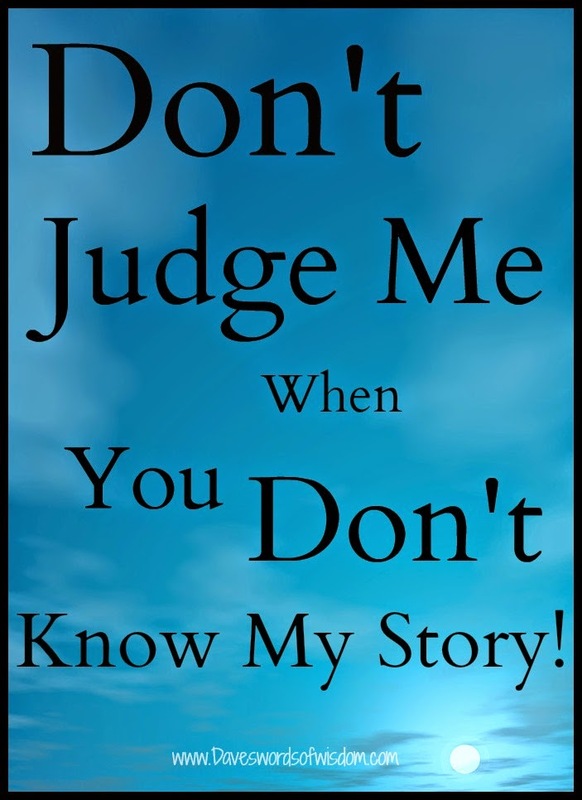 I shouldn't have to explain or defend myself to anyone. 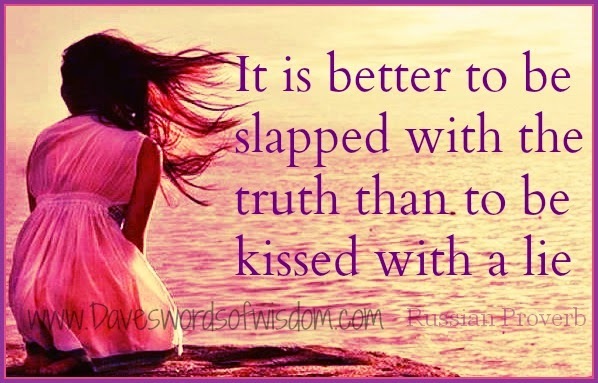 than to be kissed with a lie. 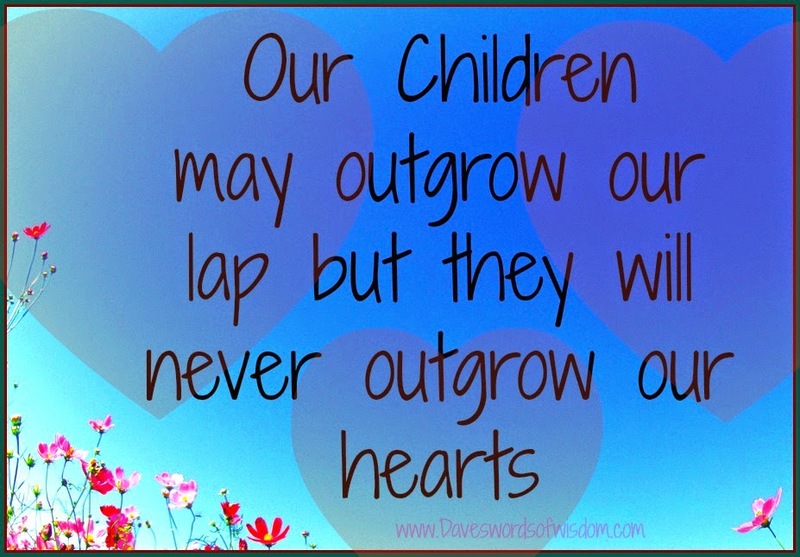 Our children never outgrow our hearts. but they will never outgrow our hearts. 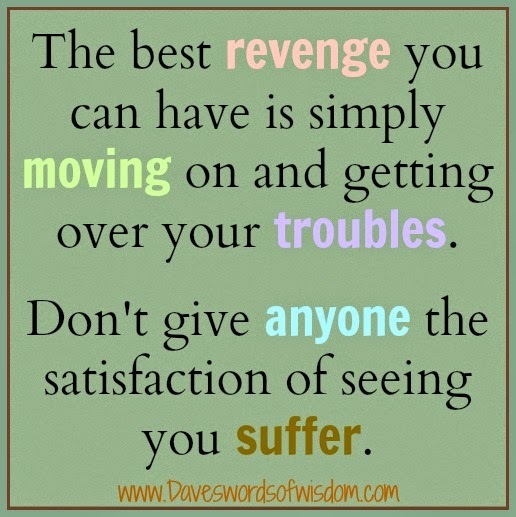 moving on and getting over your troubles. Don't give anyone the satisfaction of seeing you suffer. 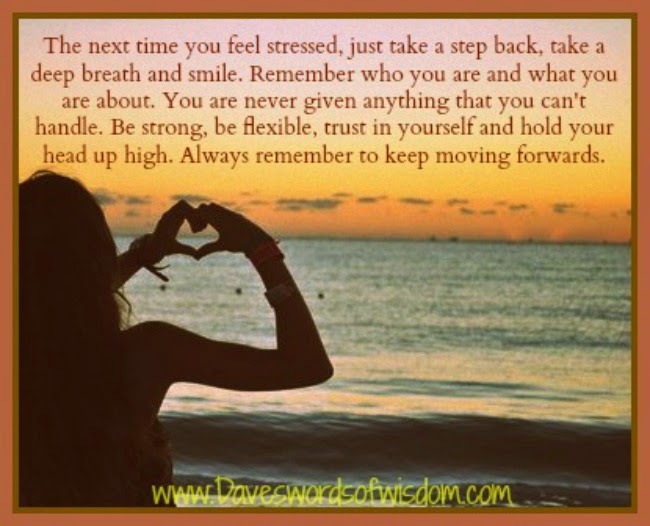 Always remember to keep moving forwards. Remember who you are and what you are about. You are never given anything that you can't handle. 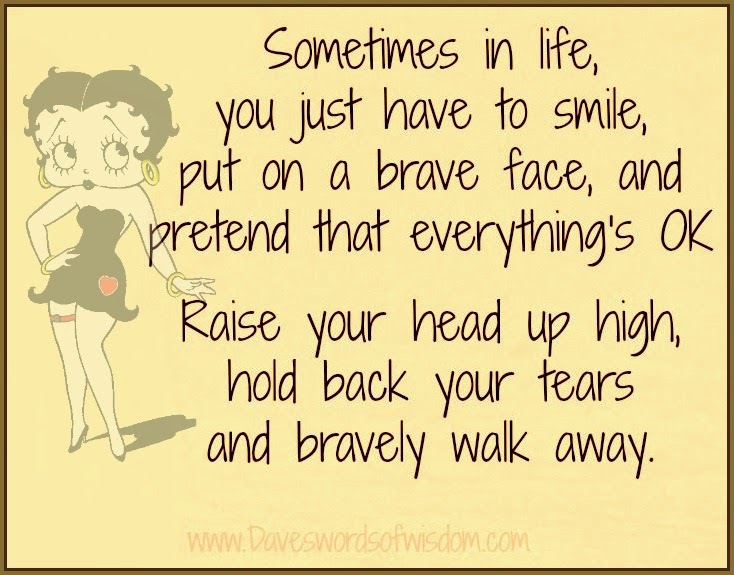 Be strong, be flexible, trust in yourself and hold your head up high. Everyone we encounter in our lives will have a role to play. 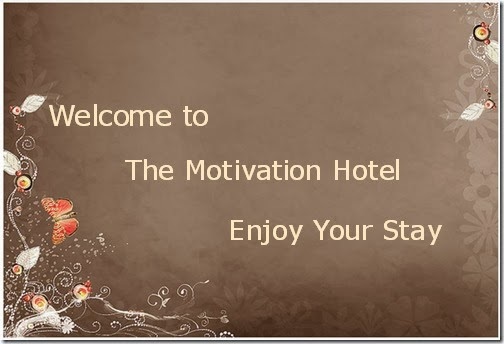 some will be small, others will guide us and some will be life changing. 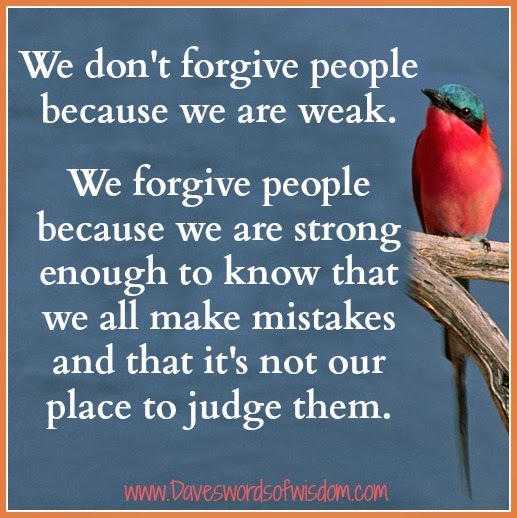 Some will teach us lessons, transforming us into a better person. happy and content in life. 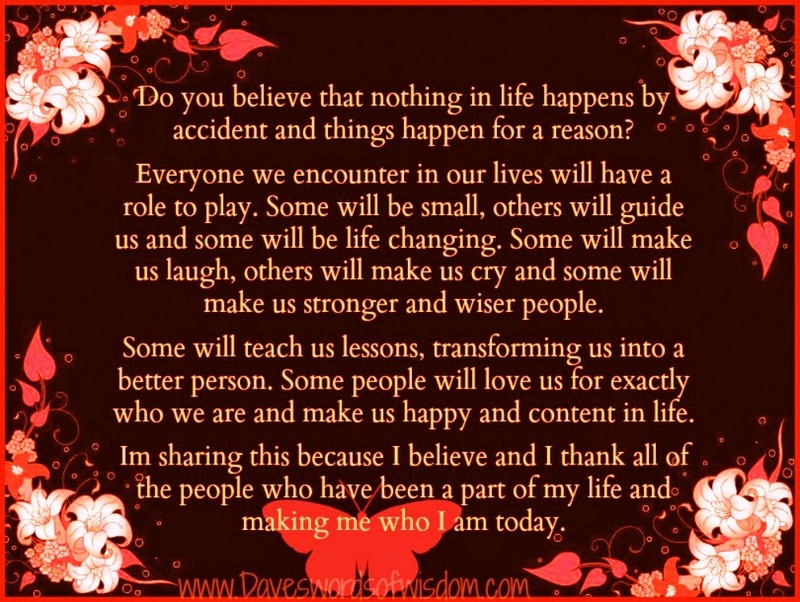 have been a part of my life and making me who I am today. 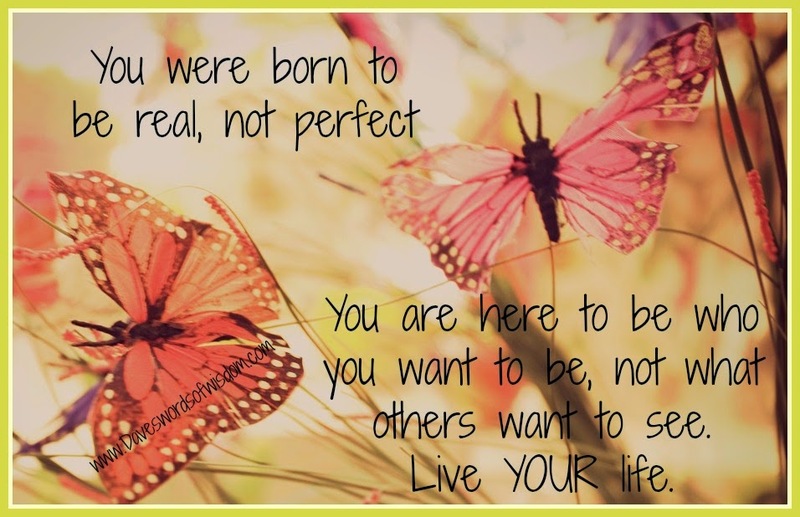 You are here to be who you want to be, not what others want to see. 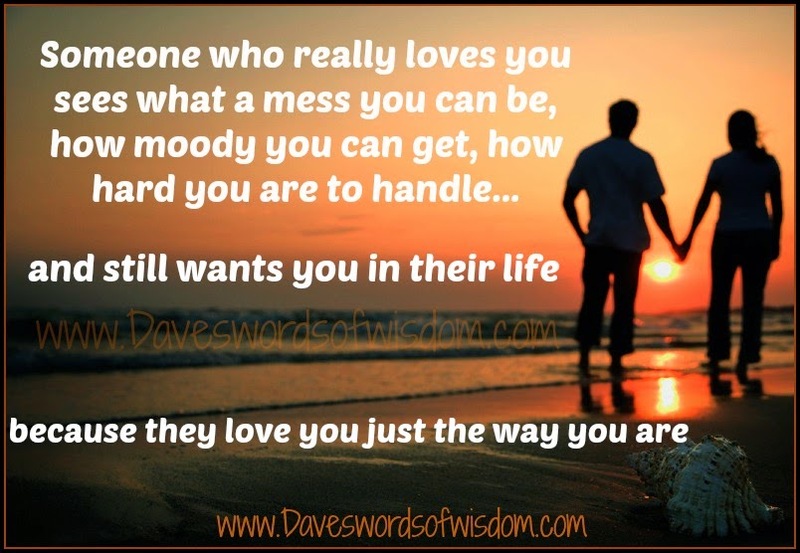 Someone who really loves you. You simply can't be nice all the time. 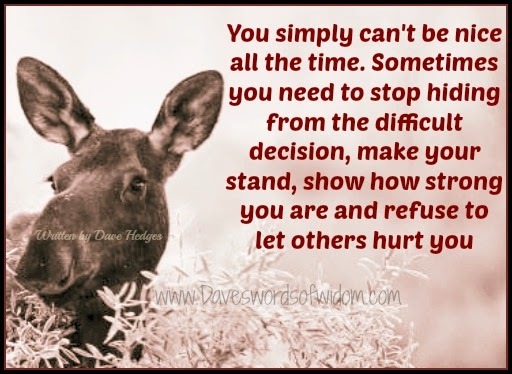 show how strong you are and refuse to let others hurt you. 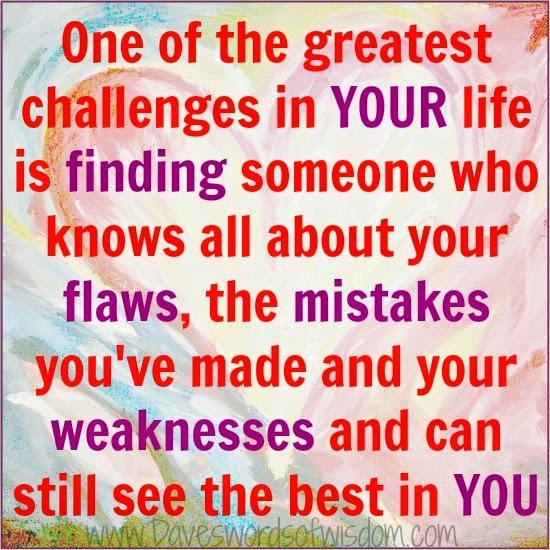 One of the greatest challenges in your life. 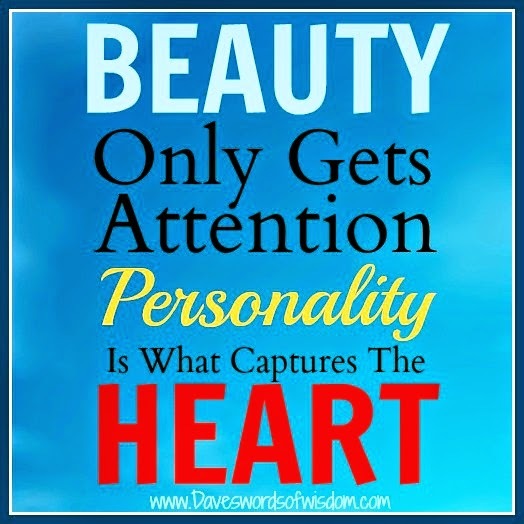 Personality Is what captures the heart. 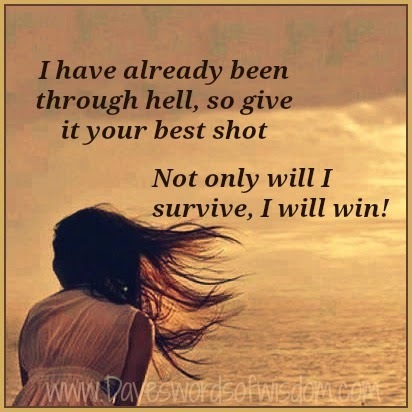 Not only will I survive, I will win. I have already been through hell, so give it your best shot. in the country's armed forces. who works hard and would do anything for you. 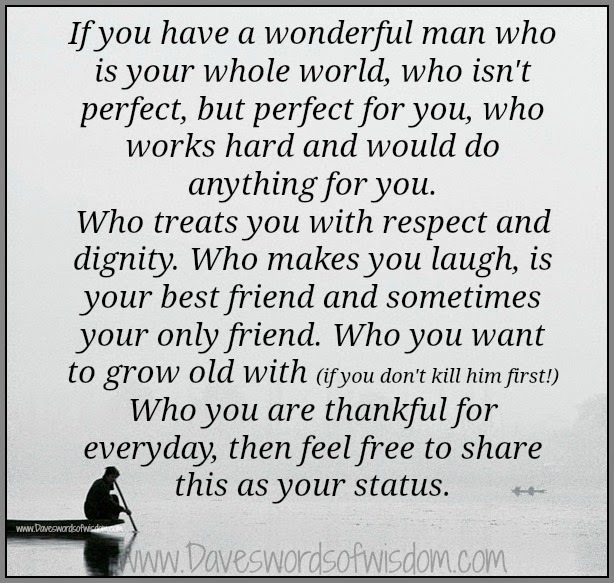 Who treats you with respect and dignity. 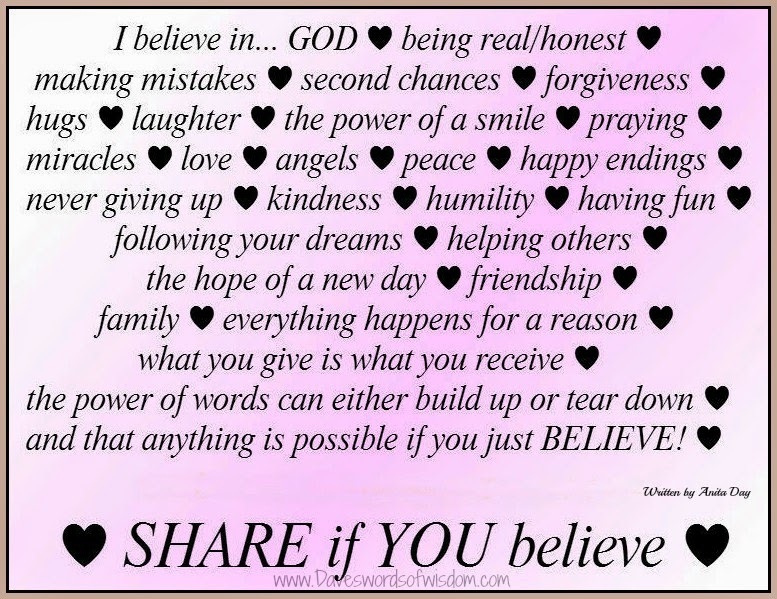 then feel free to share this as your status. One of the hardest decisions. 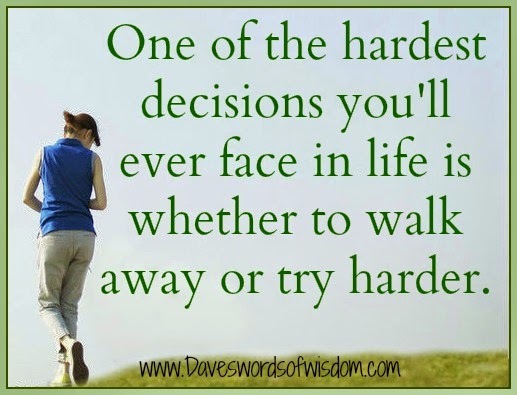 is whether to walk away or try harder. can be the hardest decision of our lives. 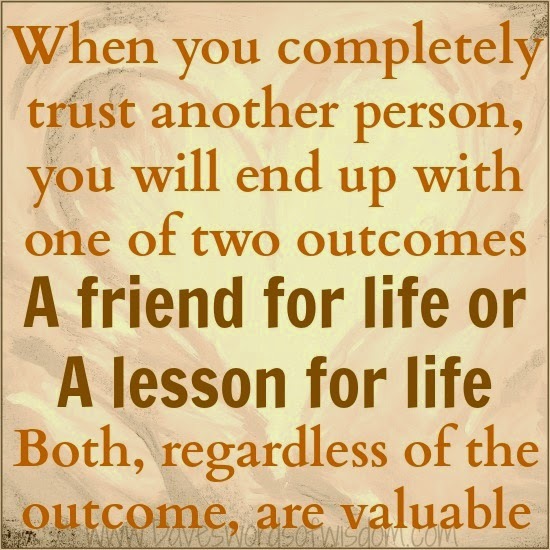 A friend for life or A lesson for life? 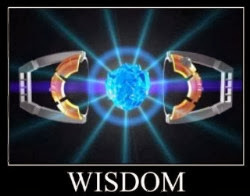 you will end up with one of two outcomes. 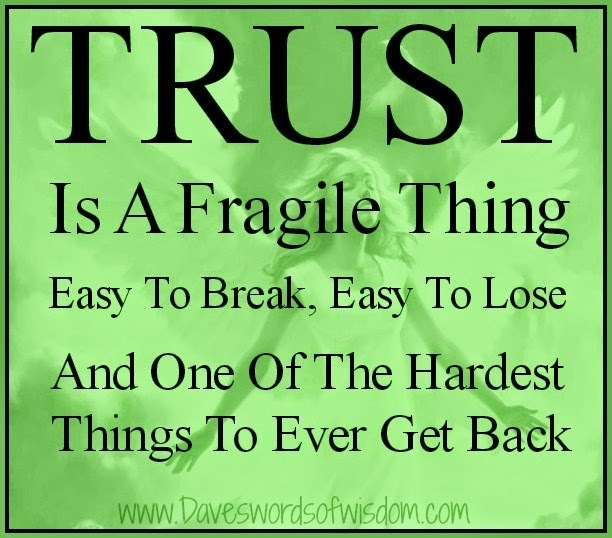 A friend for life or A lesson for life. Both, regardless of the outcome, are valuable. 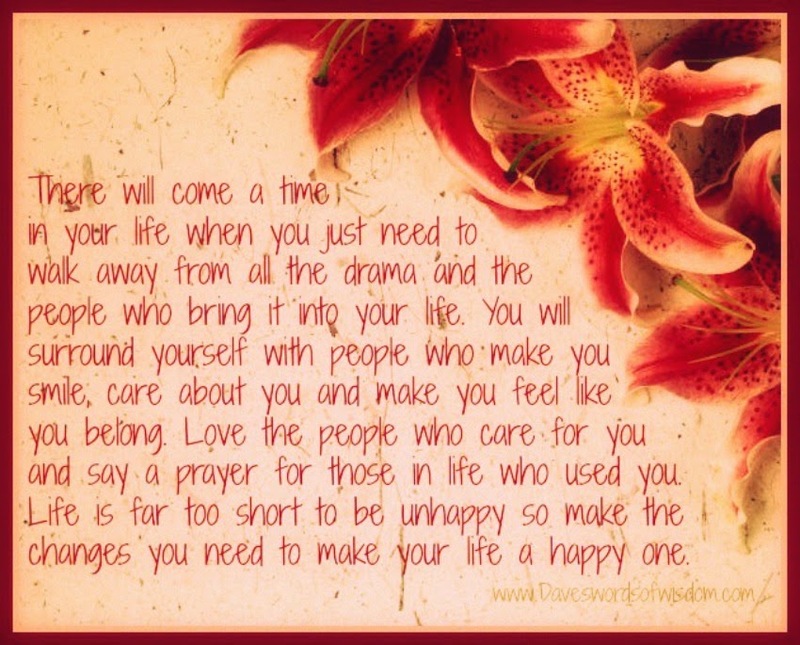 You just need to walk away from all the drama. away from all the drama and the people who bring it into your life. care about you and make you feel like you belong. in life who used you. 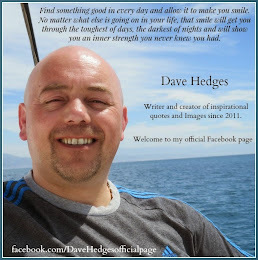 you need to make your life a happy one. 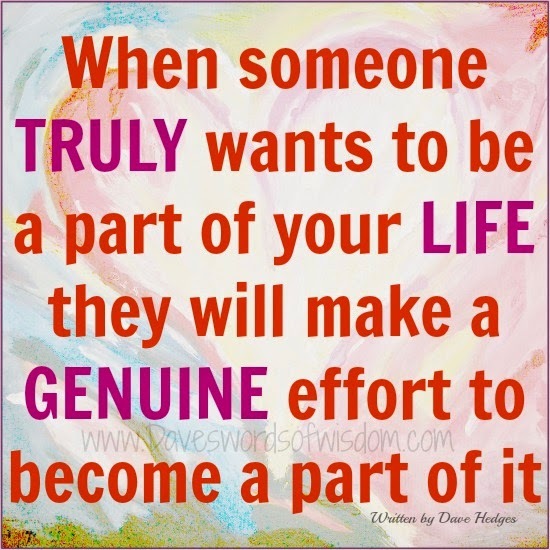 they will make a genuine effort to become a part of it. I don't need to be rich or famous, I just want to be happy! 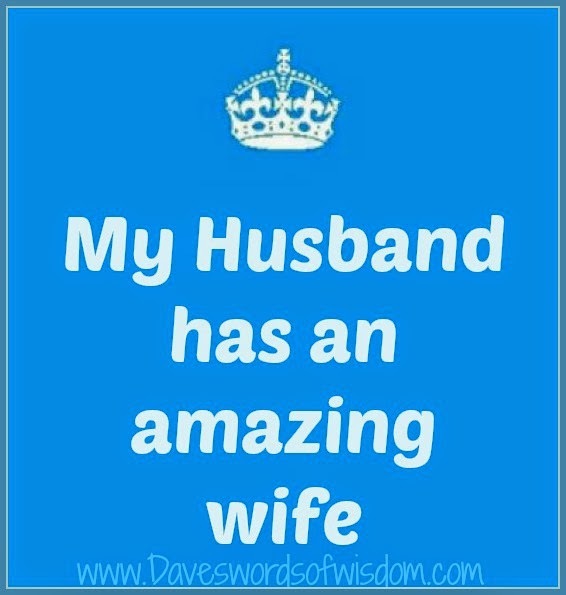 My husband has an amazing wife! 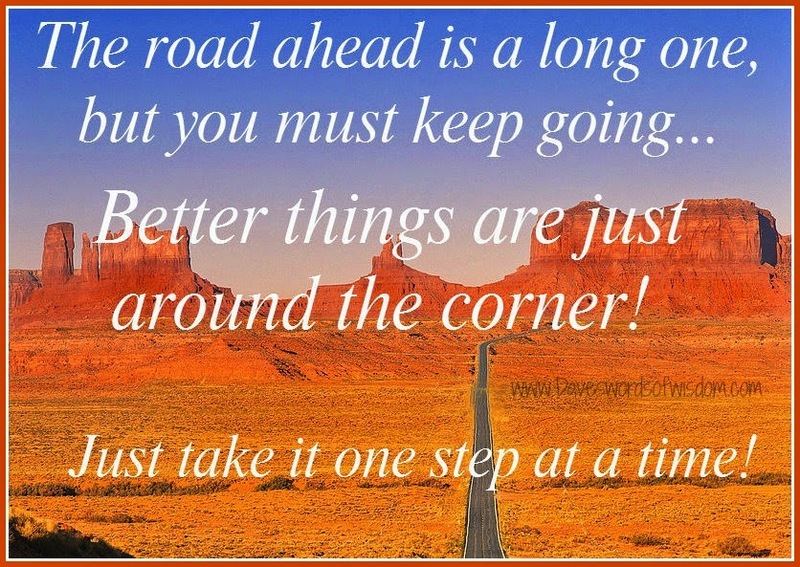 Better things are just around the corner! Just take it one day at a time! Sister or Sisters that mean the world to you. would do anything for them. 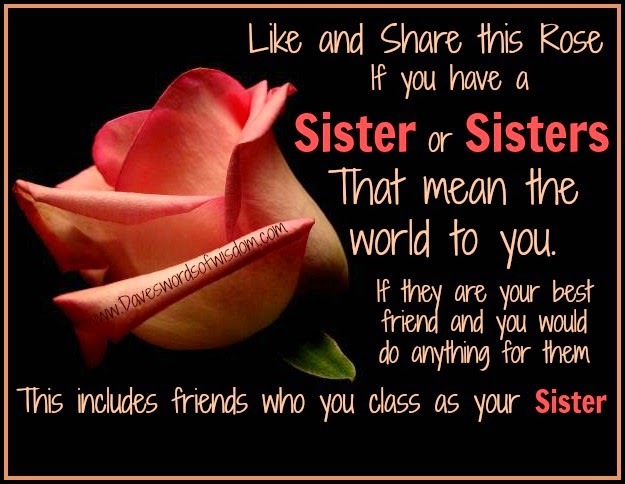 This includes friends who you class as your sister. 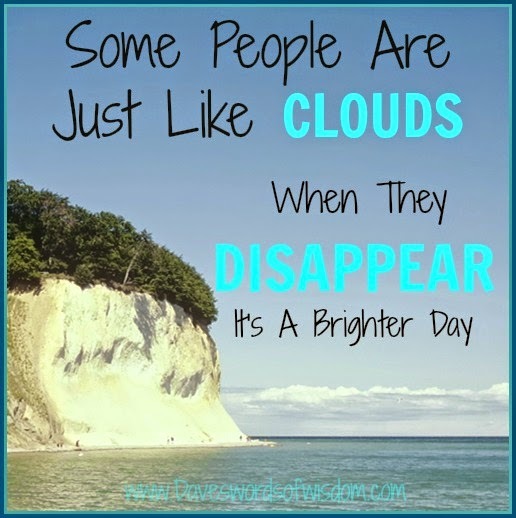 Some people are like clouds. Some people are just like clouds. When they disappear, It's a brighter day! People should stop expecting normal from me. 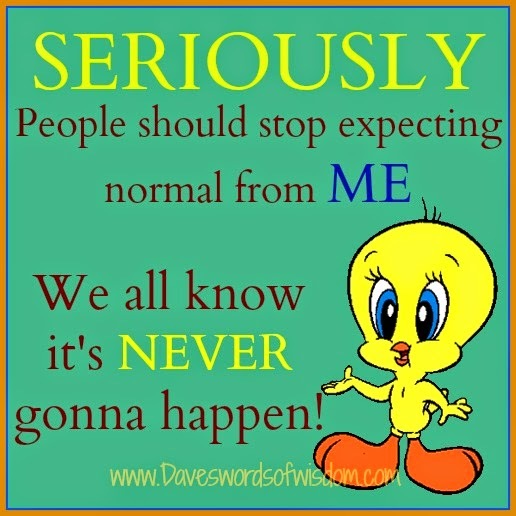 Seriously, people should stop expecting normal from me. We all know it's never gonna happen! A little light hearted fun to make you and your friends smile. Anyone can love a rose. accept the faults of others in your life. 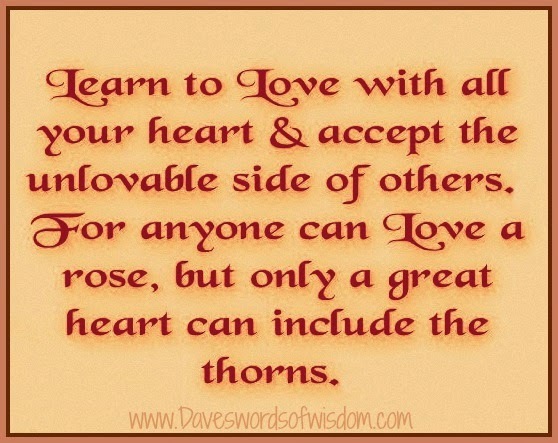 it takes a great heart to include the thorns. not our place to judge them. 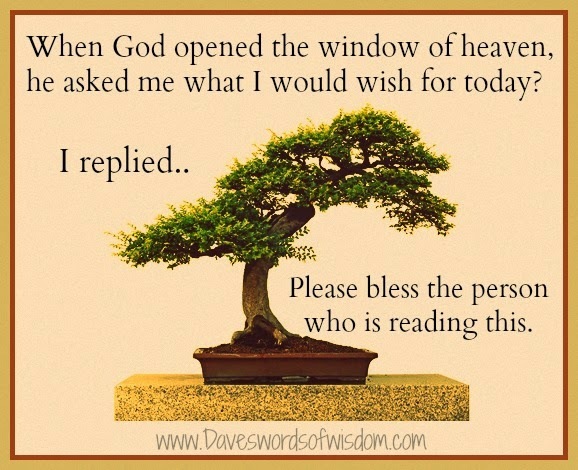 Please bless the person reading this. what I would wish for today. I replied - Please bless the person reading this. 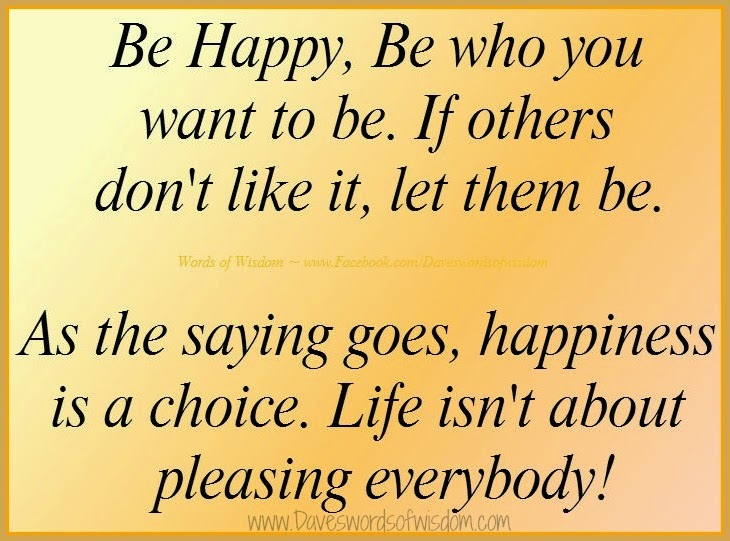 Life isn't about pleasing everybody! 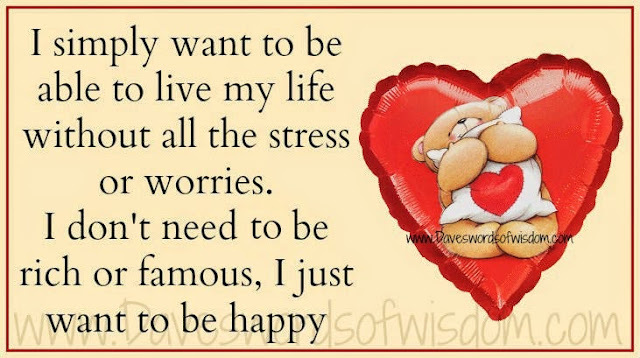 Be happy, be who you want to be. If others don't like it, let them be. As the saying goes, happiness is a choice. 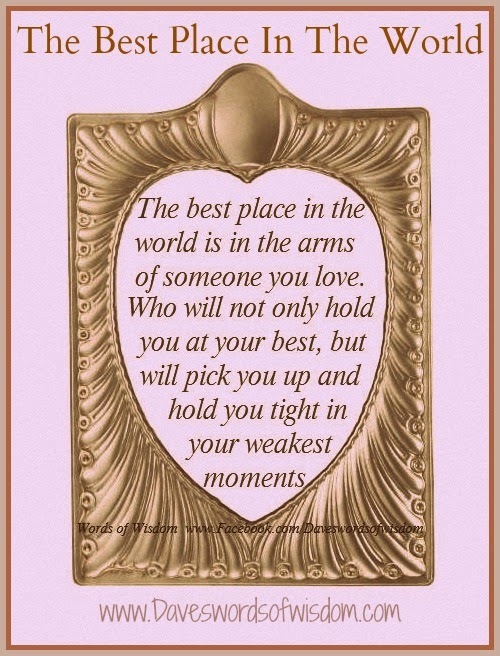 and one of the hardest things to get back. 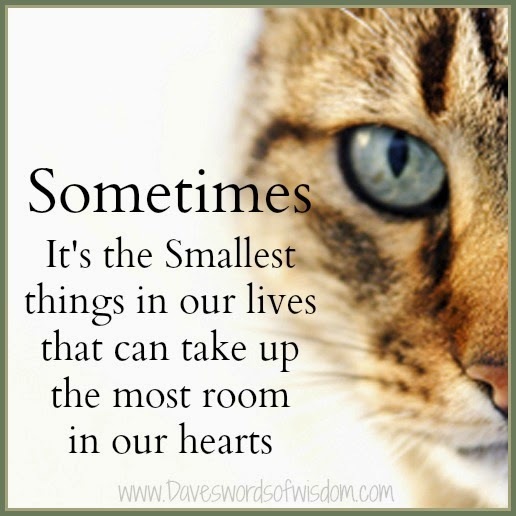 that can take up the most room in our hearts. 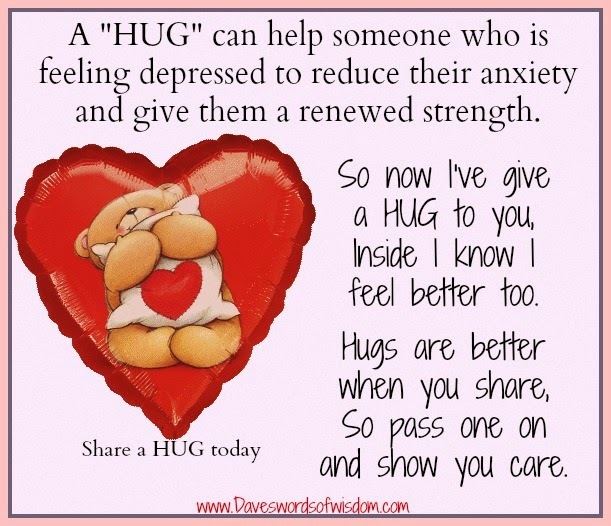 reduce their anxiety and give them renewed strength. Inside I know I feel better too. so pass one on and show you care. I will never regret the things I did wrong. 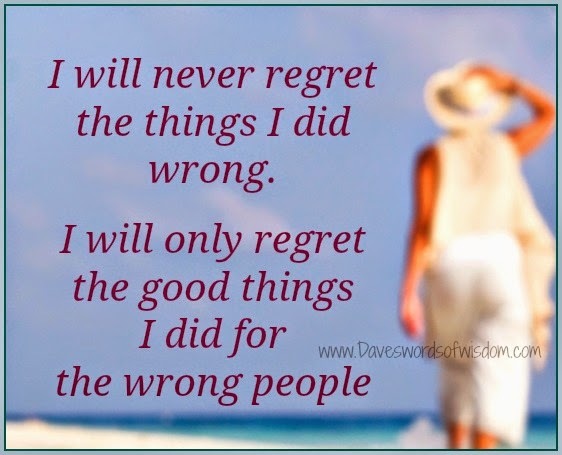 I will only regret the good things I did for the wrong people. thought was right. It's sad but it will cause the feeling of regret. 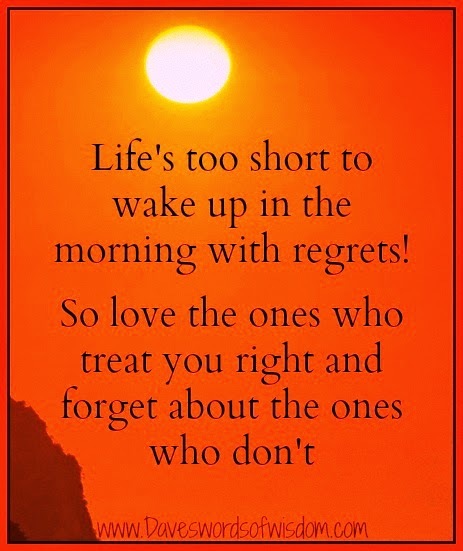 Life's too short for regrets. 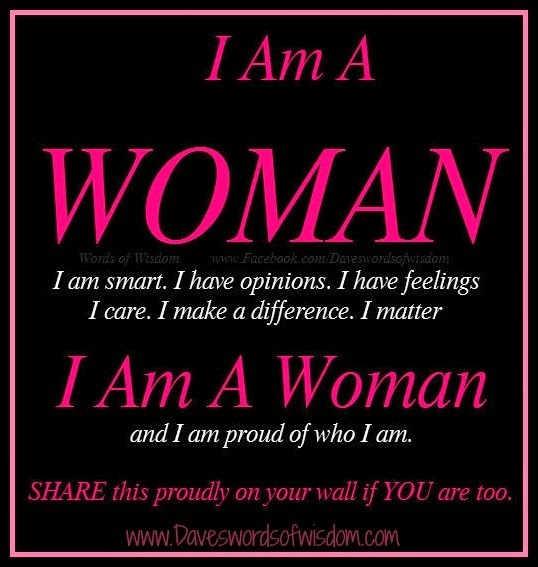 I care, I make a difference, I matter and I am proud of who I am. 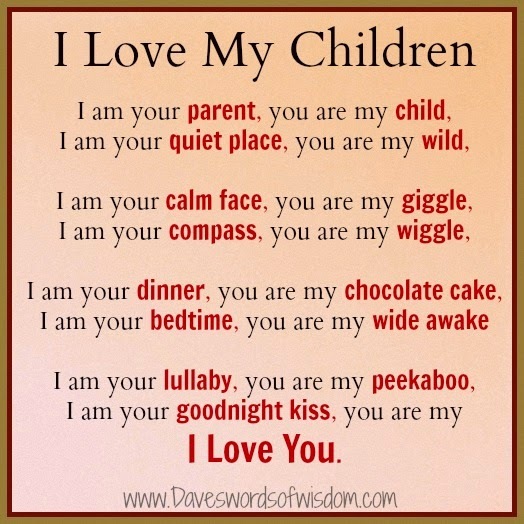 SHARE this proudly on your wall if YOU are too. 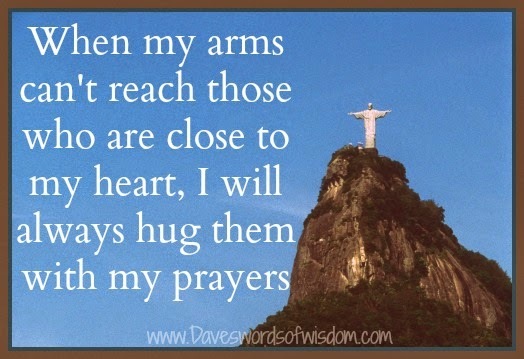 I will always hug them with my prayers. Cutting Tomatoes Like A Pro... Clever Idea. 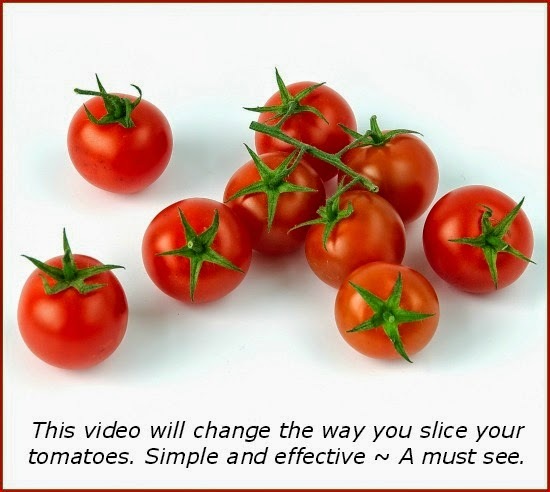 This short video will change the way you cut your tomatoes. 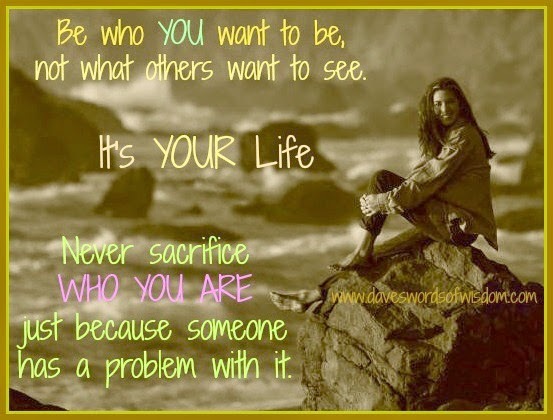 Never sacrifice who you are. Be who you want to be, not what others want to see. because someone has a problem with it. 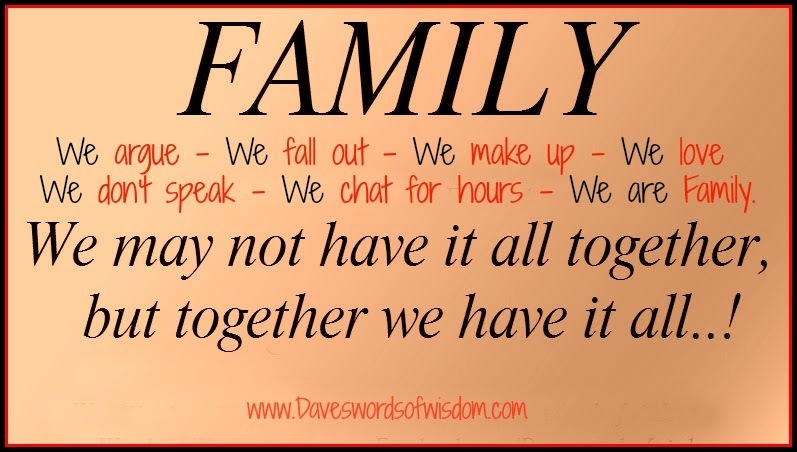 we don't speak, we chat for hours, we are family. My Mother tried to raise a lady. 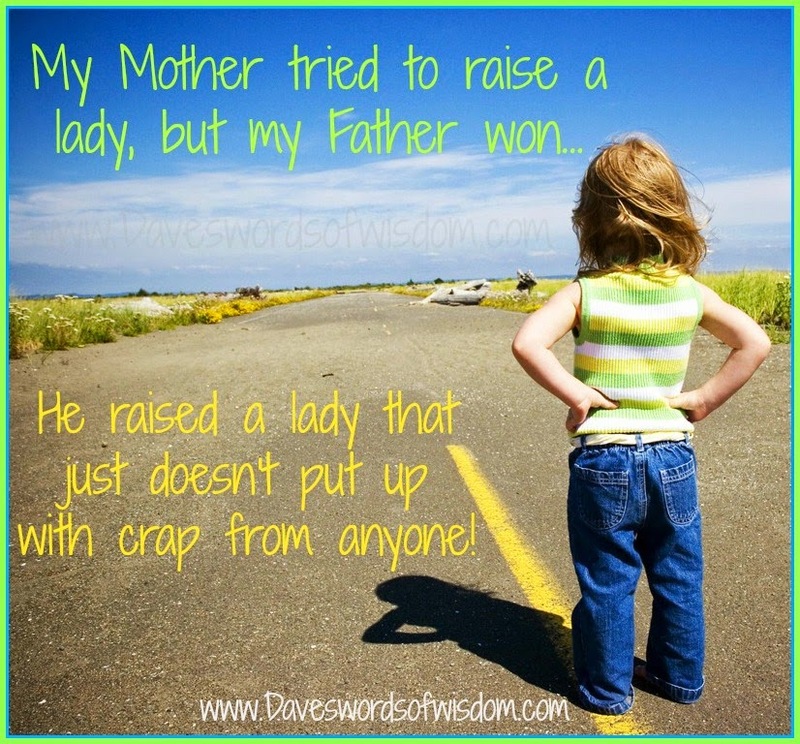 He raised a lady that doesn't put up with crap from anyone!